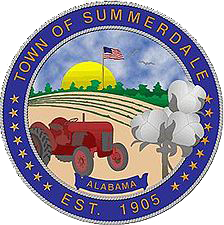 Welcome to Summerdale, a small, quiet town located in Baldwin County just minutes from the sandy white beaches of the Gulf of Mexico. Summerdale is very encouraged about the area’s growth with much anticipation that more visitors will be passing through, while some will decide on staying permanently. We believe Summerdale is a place you can call home. Please take the time to explore our webpage to see what our great town has to offer. You will find the latest information concerning our town, as well as tools that allow you to conduct business on-line. This website will grow along with our community to better serve your needs.